As head of the Transkeian Defence Force, Holomisa led successive coups against the homeland regimes and then became the head of its military government. He turned the Transkei into a ‘liberated space’, giving shelter to ANC and PAC activists, and declared his intention of holding a referendum on the reincorporation of the Transkei into South Africa. These actions brought him immense popularity and the military dictator became a liberation hero for many South Africans. When the unbanned ANC held its first election for its national executive in 1994, Holomisa, who had by now joined the party, received the most votes, beating long-time veterans and party stalwarts. He and Mandela developed a close relationship, and Holomisa served in Mandela’s cabinet as deputy minister for environmental affairs and tourism. As this biography reveals, the relationship with both Mandela and the ANC broke down after Holomisa testified before the Truth and Reconciliation Commission, among other issues, that Stella Sigcau and her cabinet colleagues had accepted a bribe from Sol Kerzner. After being expelled from the ANC, Holomisa formed his own party, the United Democratic Movement, with Roelf Meyer. As leader of the UDM, Holomisa has played a prominent role in building coalitions among opposition parties and in leading important challenges to the dominant party. 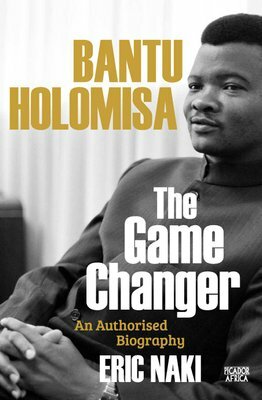 This biography, written in collaboration with Holomisa, presents an engaging and revealing account of a man who has made his mark as a game changer in South African politics.